(Okayama, 14 March) Photoimmunotherapy proves effective against elusive gastric cancer cells following transduction with the gene that expresses the extracellular domain protein of HER2. 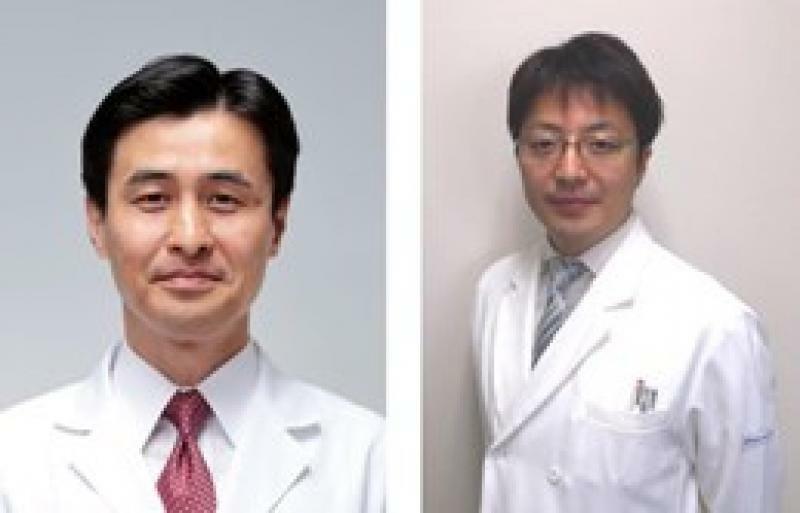 “Gastric cancer is one of the most common malignancies worldwide, making it the third leading cause of cancer-related death,” explain Michihiro Ishida, Shunsuke Kagawa and colleagues at Okayama University Graduate School of Medicine and Okayama University Hospital in Japan in a recent report. In particular they note the pernicious nature of the most common form of gastric cancer metastasis, which occurs in the peritoneum - the membrane surrounding the abdominal cavity. The researchers’ latest work targets some of the limitations of existing gastric cancer therapies, such as targeting challenges and the development of resistance to anticancer drugs. The only known target for gastric cancer is the protein human epidermal growth factor receptor 2 (HER2). However expression of this protein tends to be low in gastric cancers and is particularly low in peritoneal cancers. To tackle this obstacle the researchers devised a viral vector that transducts into HER2-negative cells with genes expressing the extracellular domain protein for HER2. They showed the approach was effective in samples with mixed HER2-positive HER2-positive cells, as would likely be the case in peritoneal cancers. They then administered a humanised photosensitizer drug targeted towards HER2-positive cells, originally developed by Hisataka Kobayashi at the National Institutes of Health in Maryland, US, followed up with photoimmunotherapy to selectively destroy HER2-positive cancer cells. Following the gene transduction, the photosensitizer recognised the HER2-negative cells as HER2-positive and bound to them so that the photoimmunotherapy could take effect. 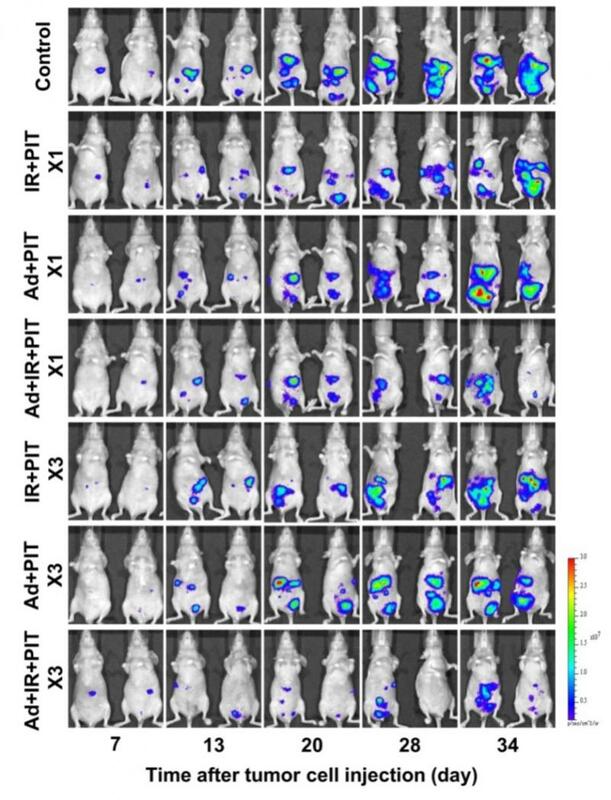 They demonstrated tumour suppression with this combined approach on mice that originally had HER2-negative cancer cells injected into the peritoneum. One of the greatest challenges in fighting cancer is avoiding damage to healthy cells, which can cause considerable sickness as a side effect of therapy. Some cancer cells can be recognised by targeting moieties, which bind to them. By functionalising therapeutic particles with these moieties the attack can be directed at cancer cells while leaving healthy cells unharmed. The protein HER2 is overexpressed in certain types of cancer, and as such has become an important biomarker. Trastuzumab has been developed as a humanized photosensitizer that targets HER2 and seemed a good starting point for developing more effective gastric cancer treatments in the absence of other molecular-targeting gastric cancer drugs. Since the expression of HER2 is so low in peritoneal cancers (2.9%), the researchers developed a means of transducing HER2-negative cancer cells with the gene for the HER2 extracellular domain protein so that Trastuzumab would target them. Viruses are infectious agents that can only replicate inside another cell. Viral reproduction by transducing viral DNA into other cells has become a useful tool for microbiologists. In the current work the researchers developed a medium-sized viral vector to transduct genes expressing HER2-extracellular-domain proteins into HER2-negative cancer cells. Ex vivo experiments also suggested that the gene was preferentially transduced to cancer cells on the peritoneal cavity. One of the limitations of the current results is incomplete transduction of the gene expressing the HER2 extracellular domain protein by the adenovirus. The adenovirus developed for the transduction was engineered not to replicate, but adjustments to allow conditional replication may improve the efficacy of the treatment. Cell necrosis is a form of injury that causes premature cell death. Exposure to infrared radiation can cause cell necrosis in cancer cells that have been photosensitized with Trastuzumab. As photoimmunotherapy does not require uptake of the photosensitizer inside the cancer cells it can be more effective than photodynamic therapy. Associate Professor Shunsuke Kagawa, M.D., Ph.D.
For inquiries, please contact us by replacing (a) with the @ mark.